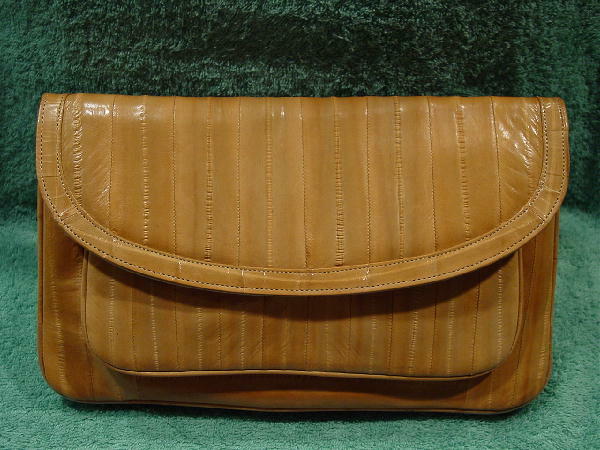 This vintage tan eelskin purse has a 32" long by 1 1/2" wide detachable shoulder strap with 2 snaps on each side. Under the envelope style front flap is an outer pocket in matching eelskin. 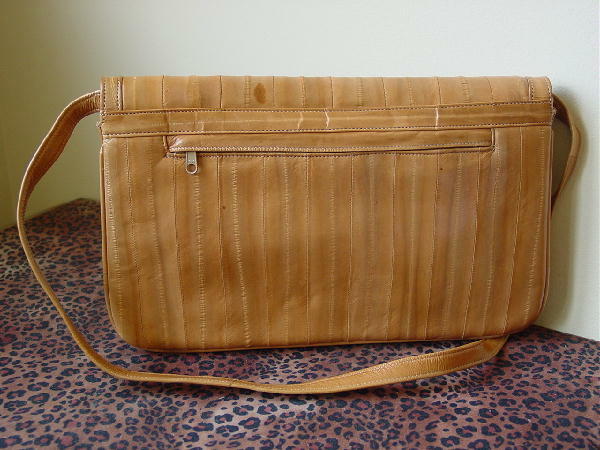 The interior has two sections with a zippered pocket in the back one. The back (outer) side has a zippered compartment. 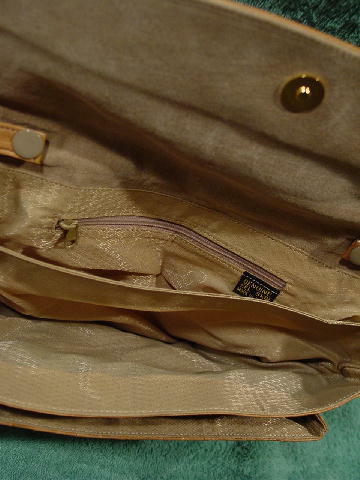 All the interior linings are in a beige-champagne pattern fabric (that feels like nylon). 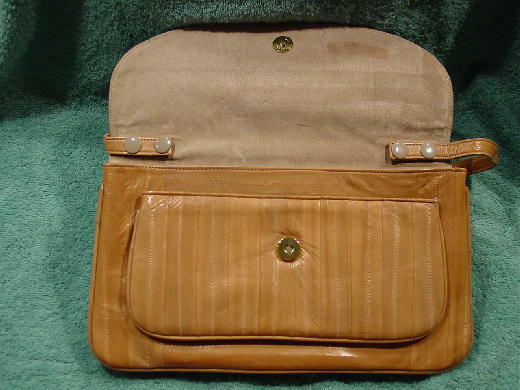 The underside of the flap is in a beige-bone suede, and it has some glue and other marks. It has a magnetic snap. The eelskin is in a vertical pattern. The dark spot on the top of the eelskin flap is a natural part of the eelskin.